BIRD Aerosystems has been awarded a contract with a new customer in Africa. 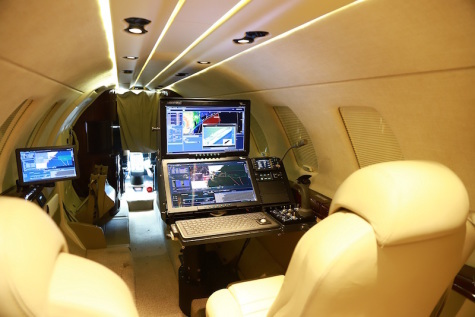 Under the contract, BIRD Aerosystems will provide a number of ASIO Cessna Citations aircraft all installed with an advanced maritime patrol sensor and integrated with BIRD’s Mission Management system (MSIS). The aircraft will share the operational picture with ASIO mission management stations installed on the customer's Naval Ships and HQ command, ensuring that all operating teams share a unified, real-time situational awareness picture. The ASIO Maritime program to be deliver is specifically tailored to meet the operational requirements of the customer and will enable to efficiently defend their maritime border against diverse threats such as piracy, smuggling, illegal fishing, oil theft and other criminal and terror operations. The solution to be provided includes BIRD's advanced Mission Management System (MSIS) which manages the complete mission and enables ASIO Airborne, Naval and Ground unites to share real-time information. MSIS collects and processes large amounts of information gathered from all onboard sensors which is then automatically classified, prioritized and clearly displayed using state of the art algorithms with an easy to use and intuitive human-machine interface. BIRD's MSIS reduces mission crew workload by display and operation of important aspects of the mission at any given time, enabling the crew to efficiently complete detection and classification of only the relevant targets. As part of the company’s strategy, the ASIO program will be delivered to the customer as a turnkey program which includes the aircraft overhaul and upgrade effort to be conducted at BIRD Aviation Cyprus, a fully owned Maintenance and Repair Organization (MRO) subsidiary launched last year in Cyprus. Ronen Factor, Co-Chief Executive Officer and Founder: "We are thrilled to win another important customer in Africa and see this contract as a vote of confidence by our customers that trust us to continue delivering advanced and cost-effective Maritime patrol programs around the world. Our ASIO solution is specifically tailored to meet our customer’s operational requirements and will allow them to protect their maritime borders against the diverse threats which they are facing." He continued: "As part of BIRD Aerosystems' vision of providing our customers full end-to-end turn-key solutions, all of the installation, integration, logistics and maintenance services will be conducted at BIRD's MRO, "BIRD Aviation", that we have recently launched in Cyprus. By delivering these services in-house, BIRD is able to ensure the highest standards of work delivered on time and on budget, enabling the customer to extract the maximum benefit from the system in its unique configuration." BIRD Aerosystems is a privately-owned company established in 2001 and based in Israel. The company specializes in the developing and deploying of two main product lines: Airborne Missile Protection Systems (AMPS) and Airborne Surveillance, Information and Observation (ASIO) solutions. BIRD's Airborne Missile Protection Systems (AMPS) are installed on hundreds of military and VIP aircraft worldwide. AMPS has become a standard system of NATO members, having been also selected and installed for the United Nations (UN) Air Operations, and the US and Canadian governments.